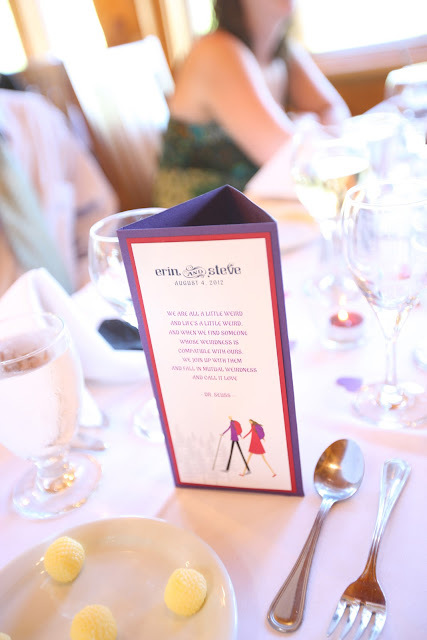 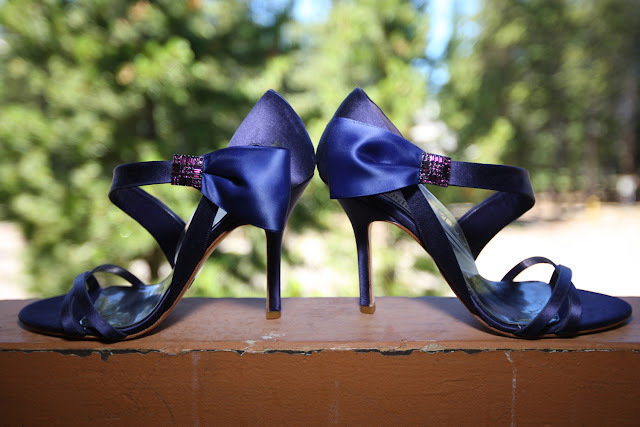 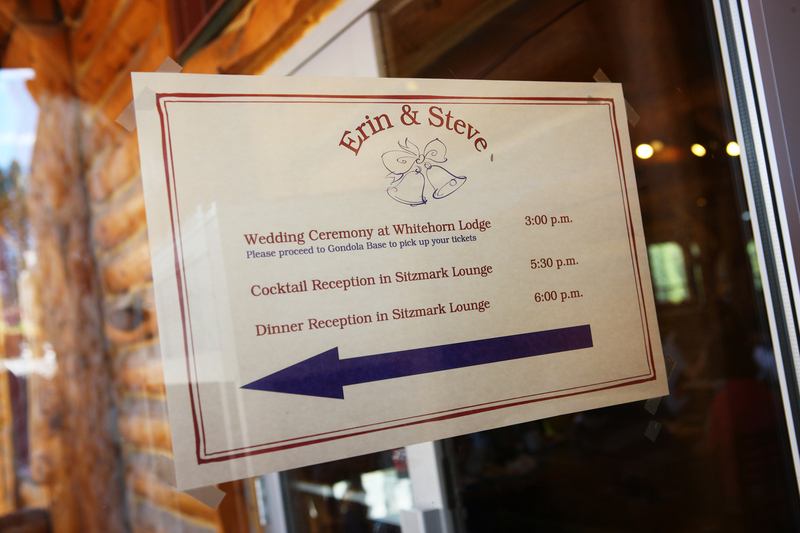 Erin & Steve's day was full of beautiful details and personal touches. 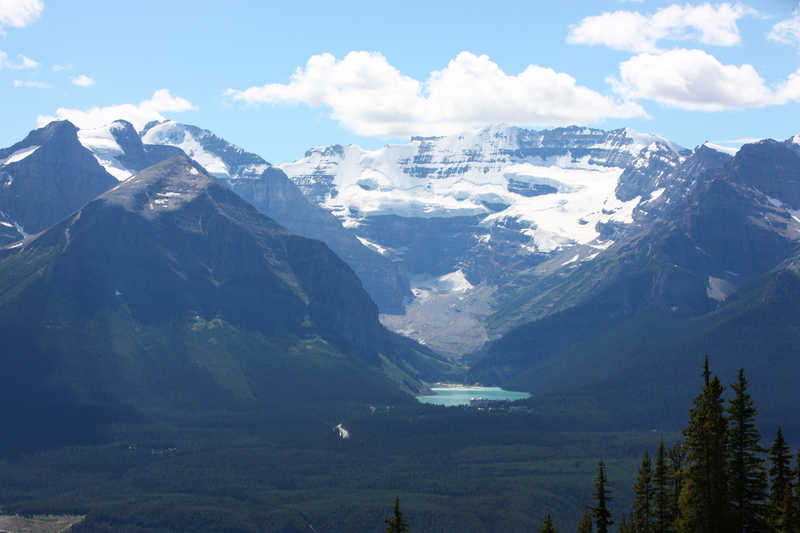 It was a spectacular day at Lake Louise, the sun shone brightly - it was perfect! 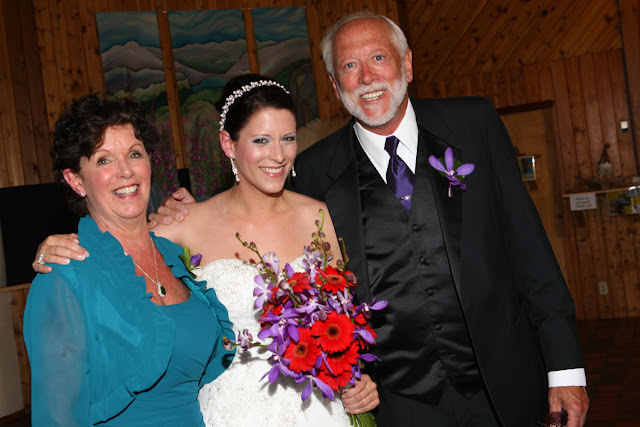 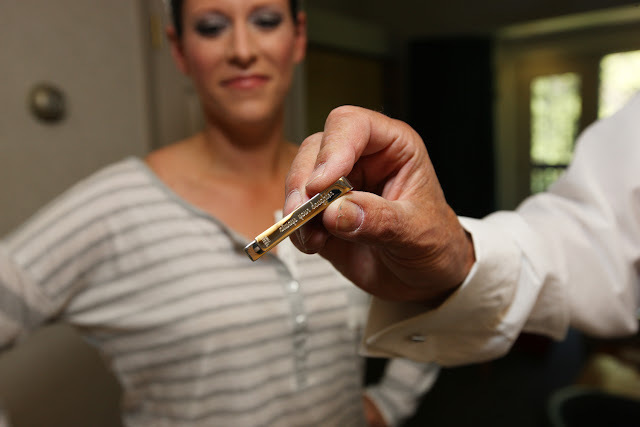 Erin had a special gift for her father, a gold tie pin "always your daughter". 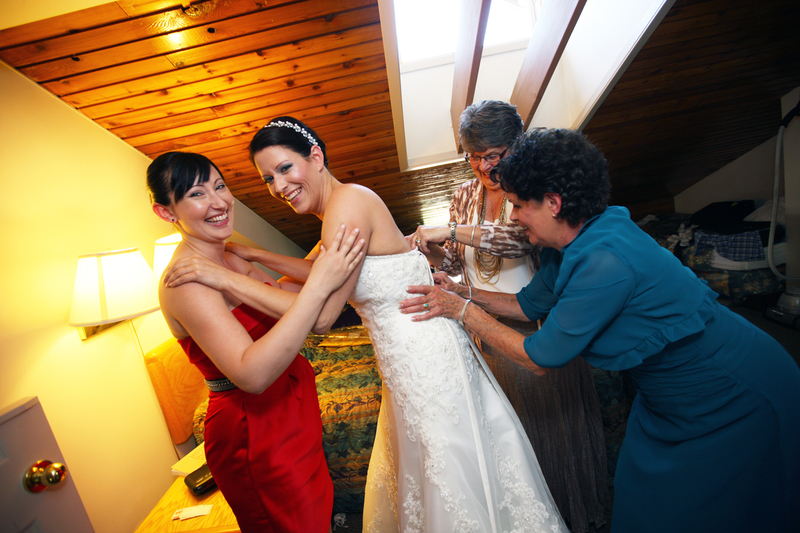 The ladies had fun getting ready. 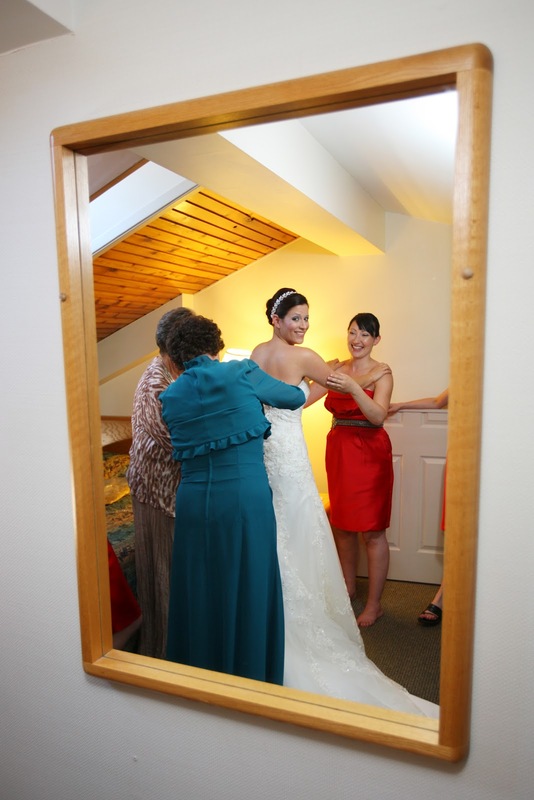 Love this reflection in the mirror. 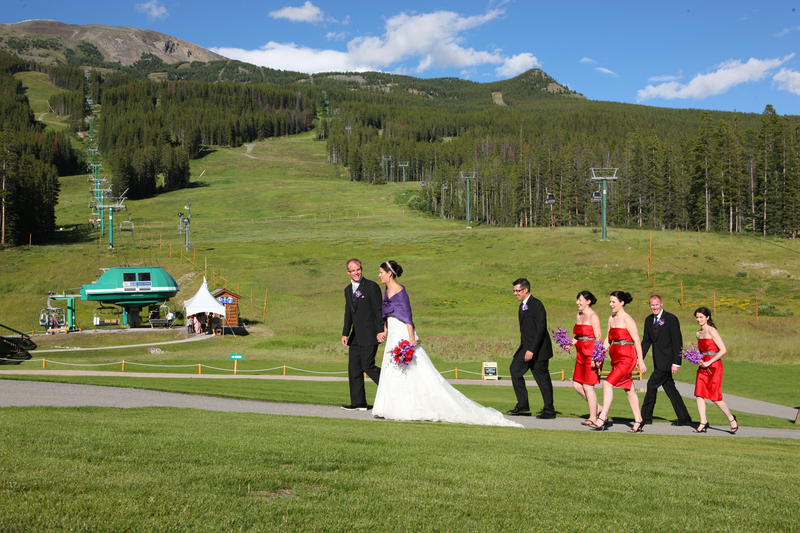 Off to the top of the mountain for the wedding ceremony. 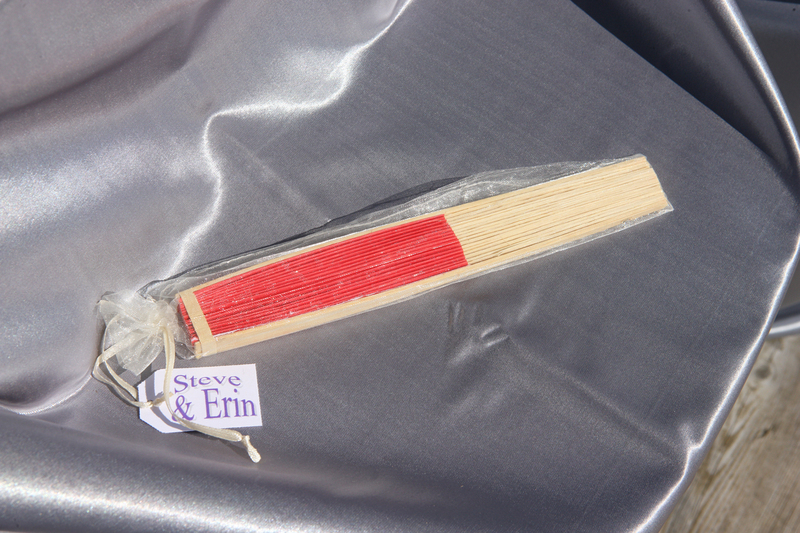 The guests were given gift 'fans' to keep cool during the ceremony. 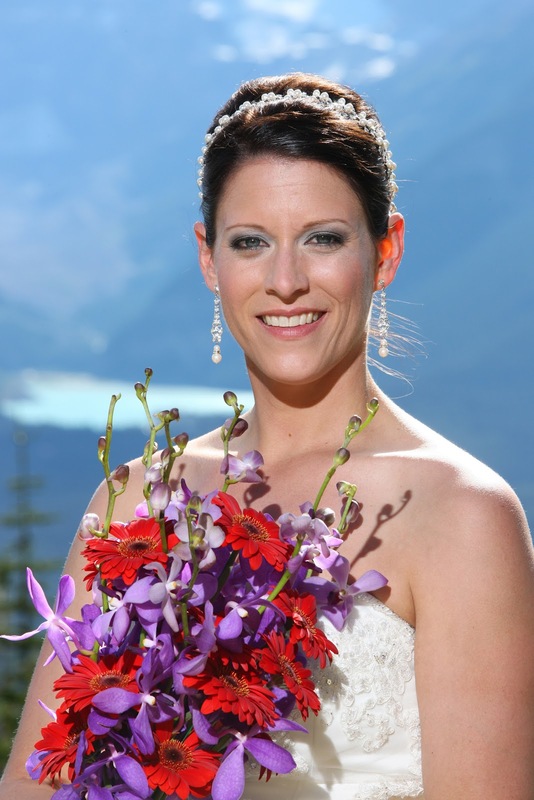 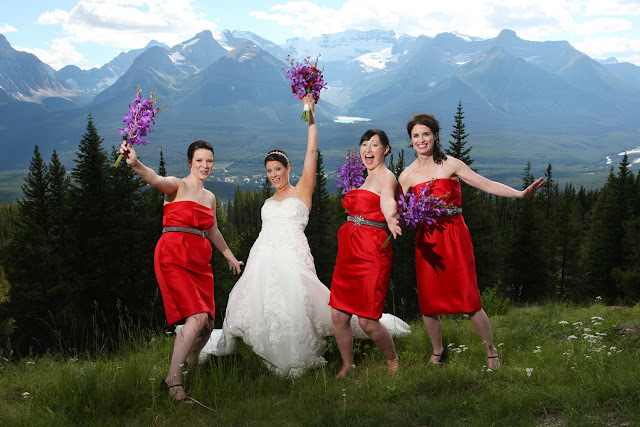 Connie Grace and her team at Elegant Banff Weddings. 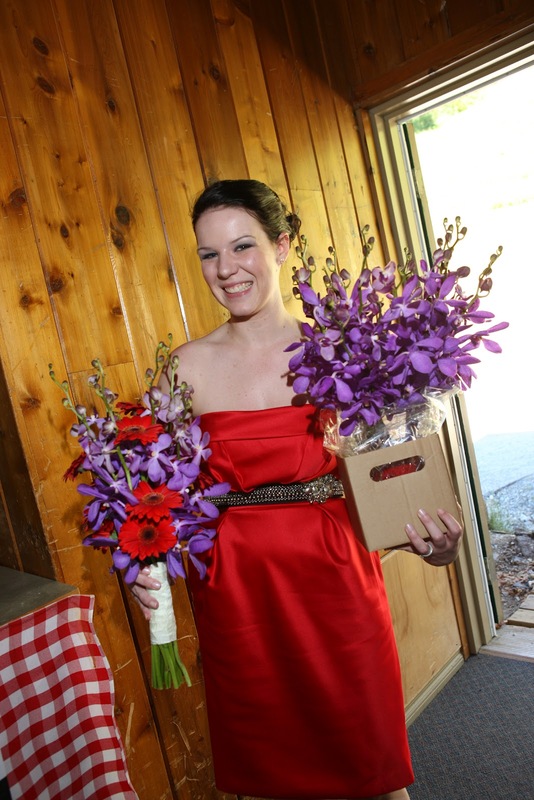 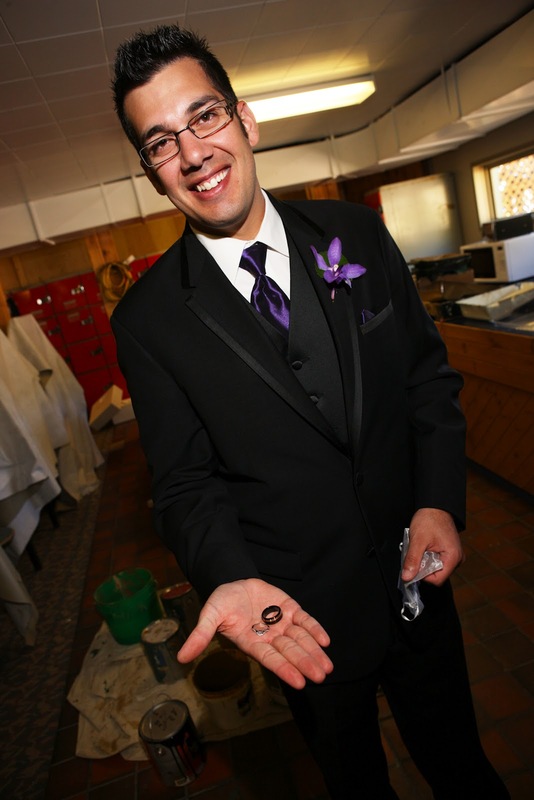 making the whole process fun and the wedding day flow smoothly. 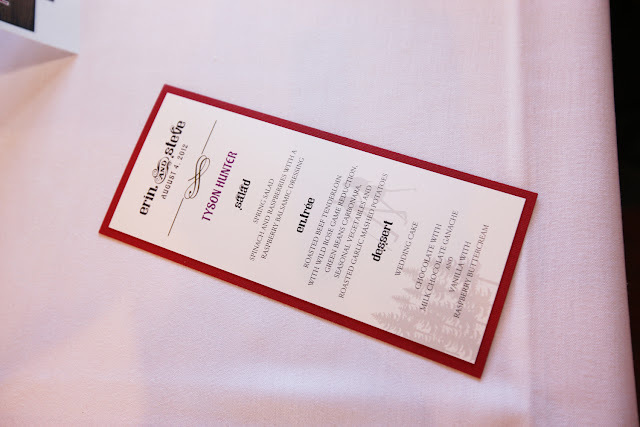 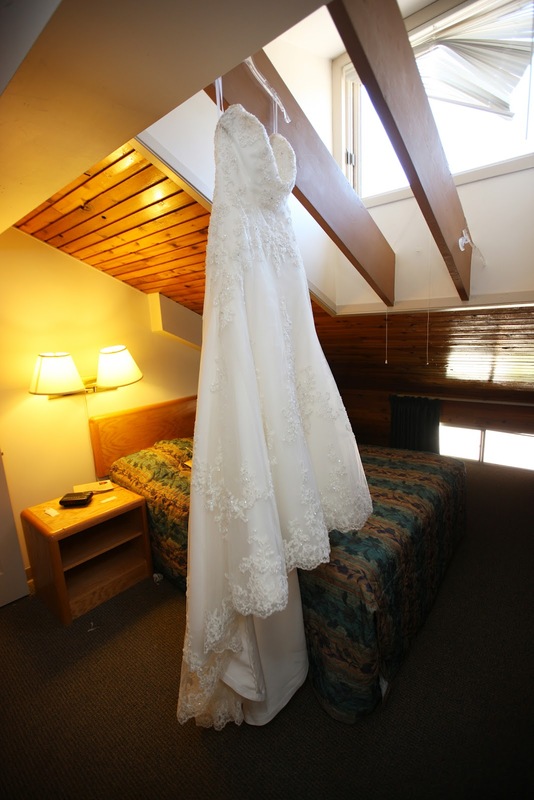 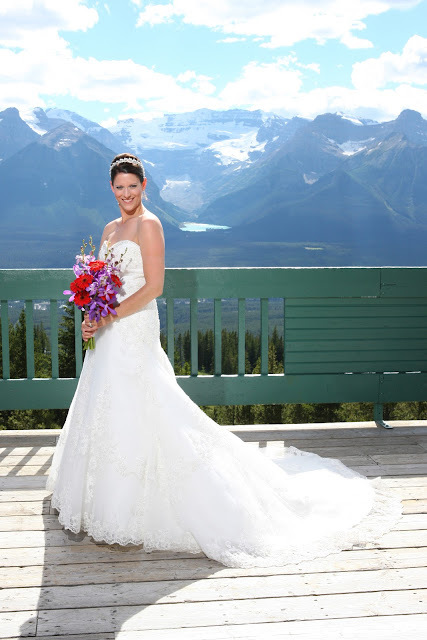 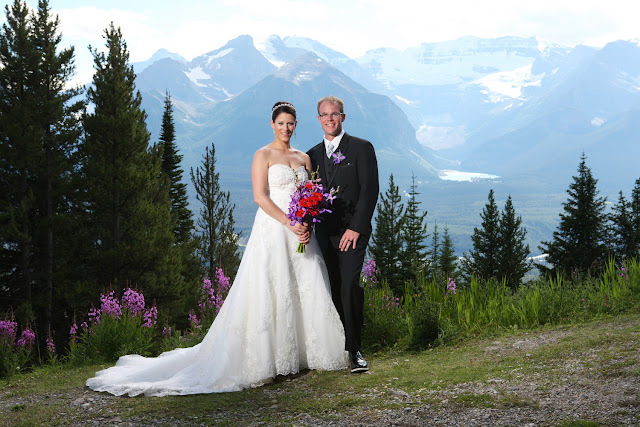 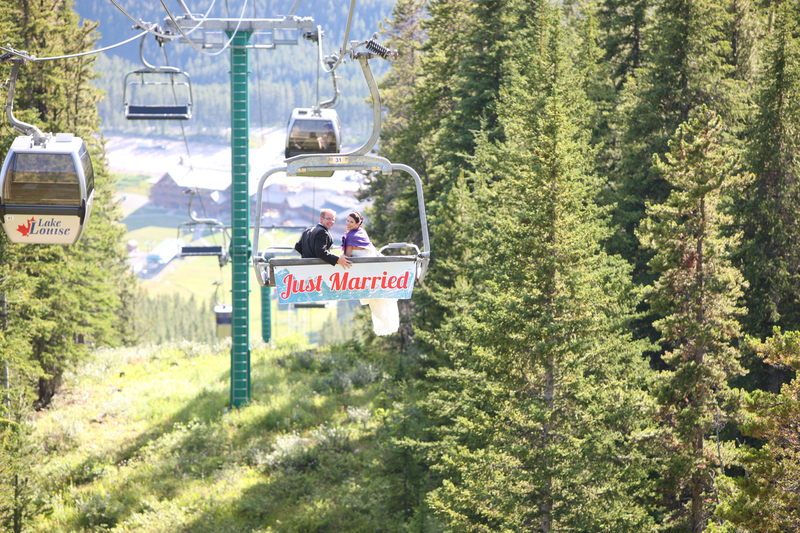 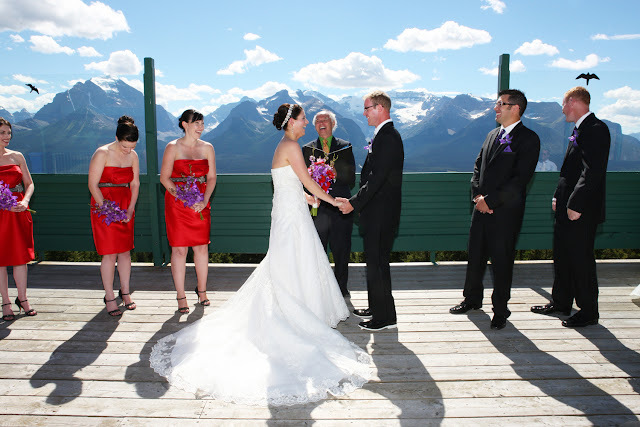 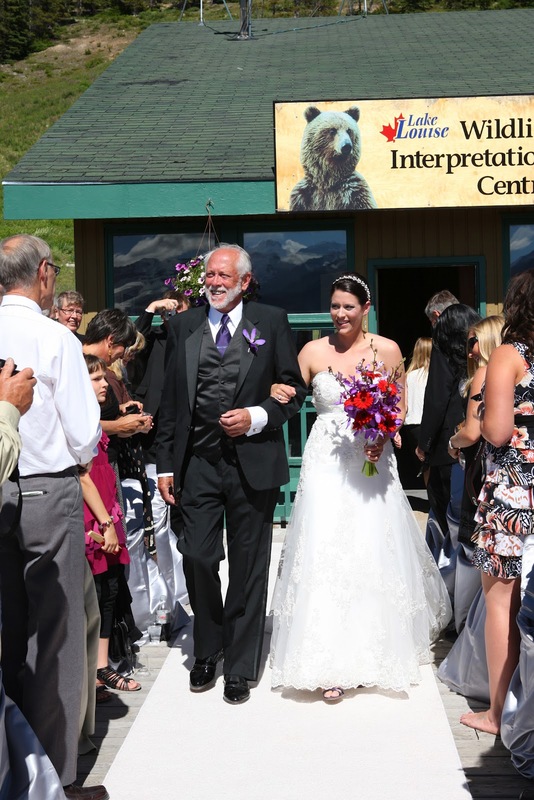 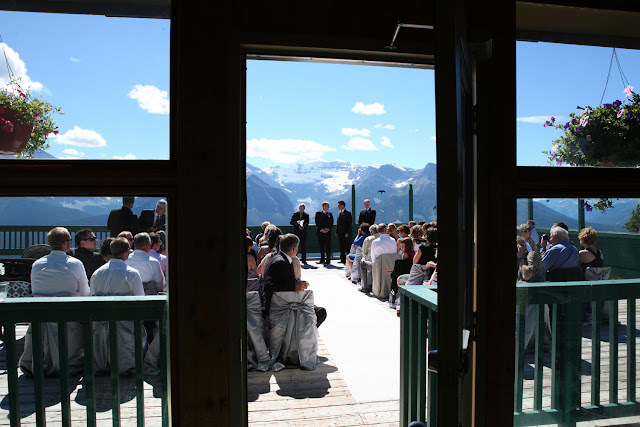 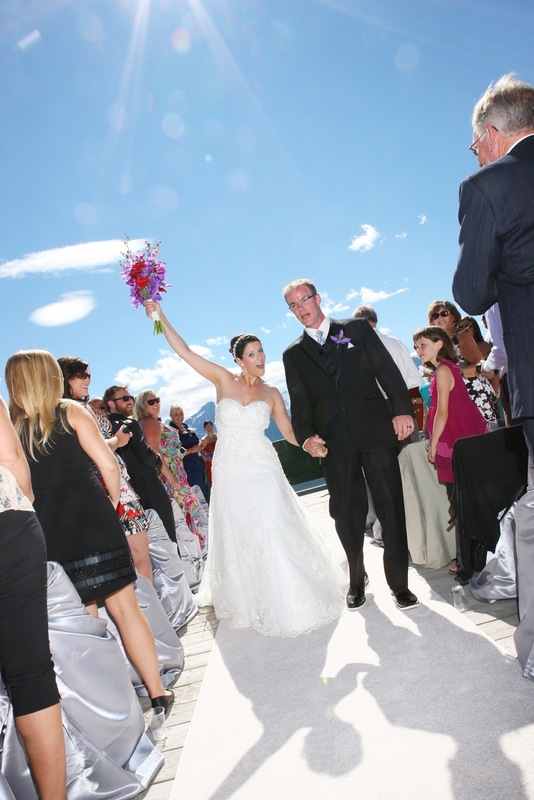 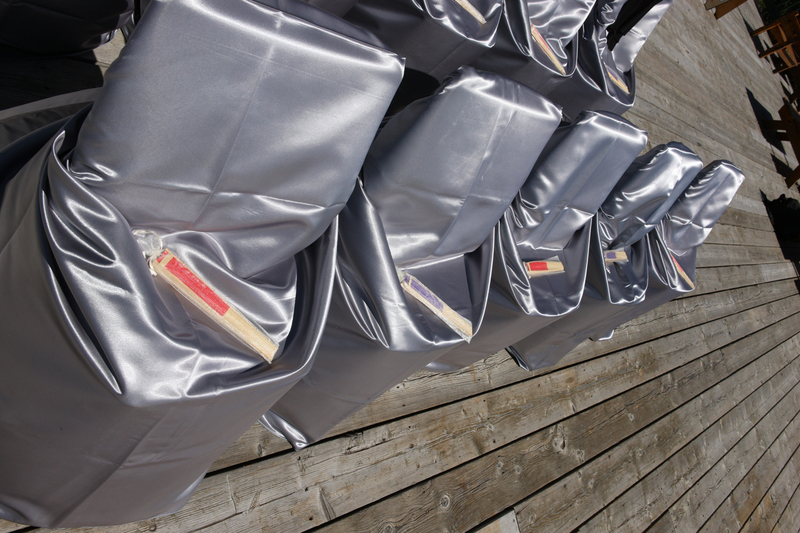 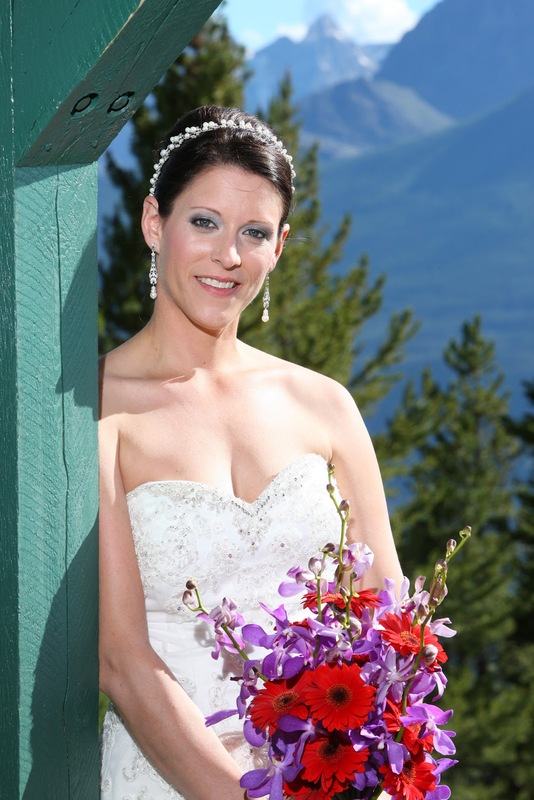 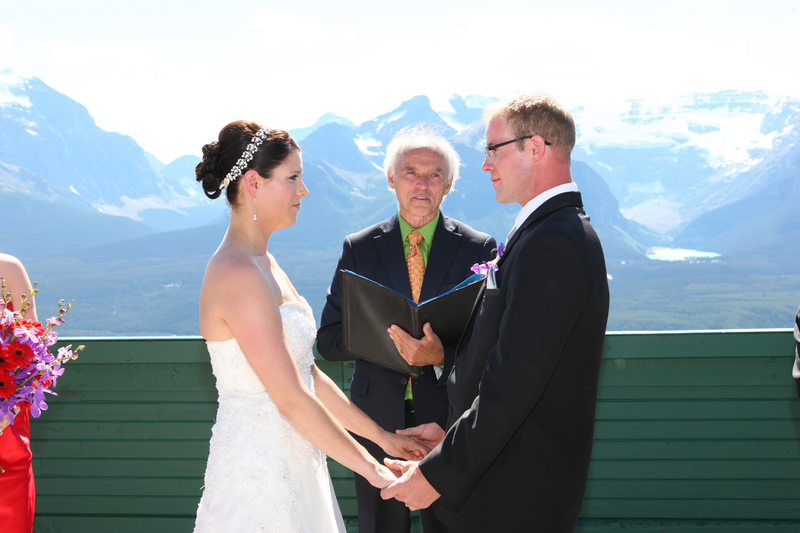 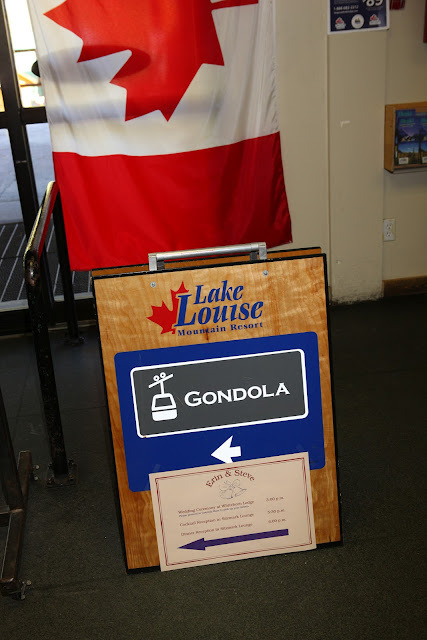 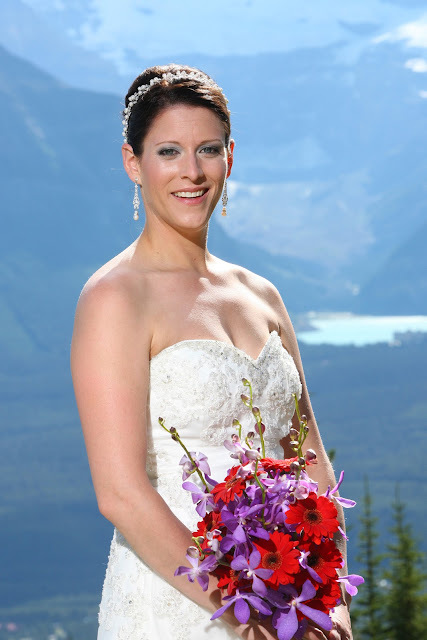 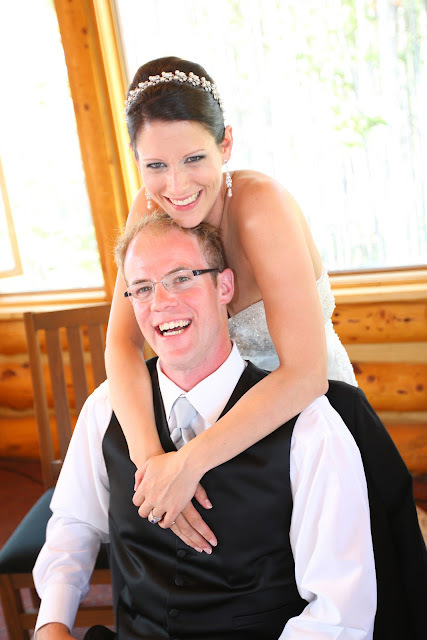 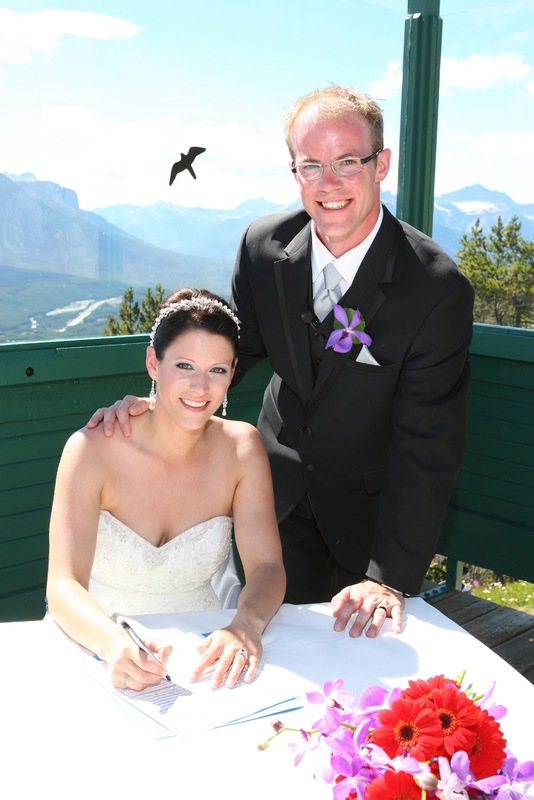 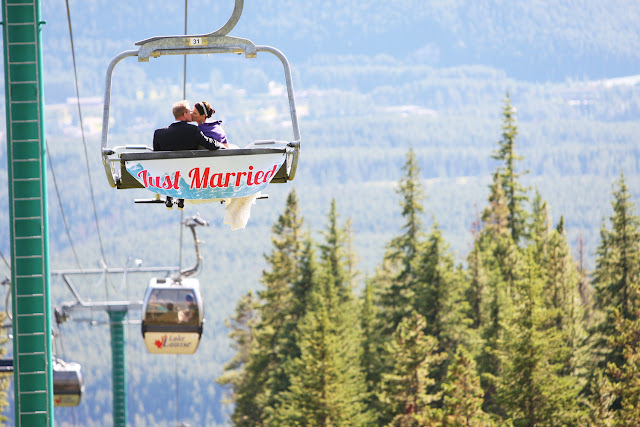 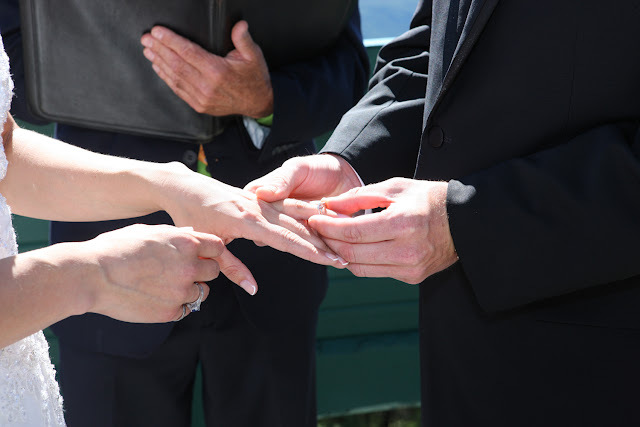 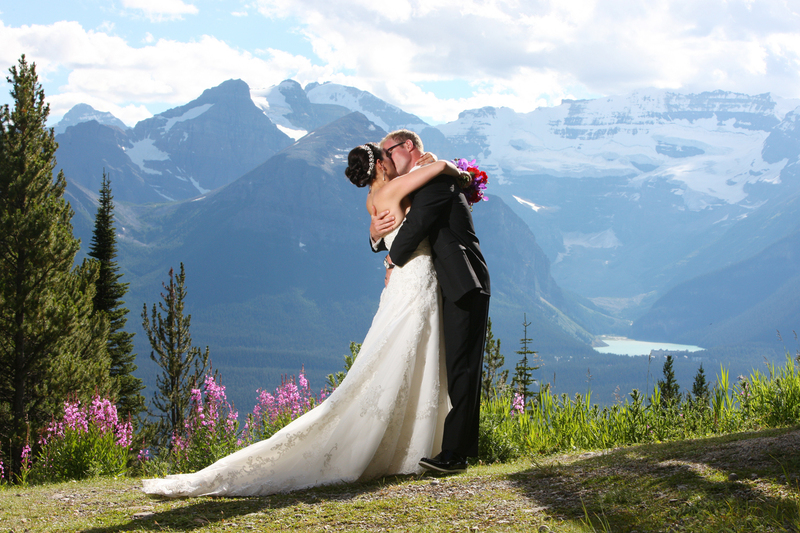 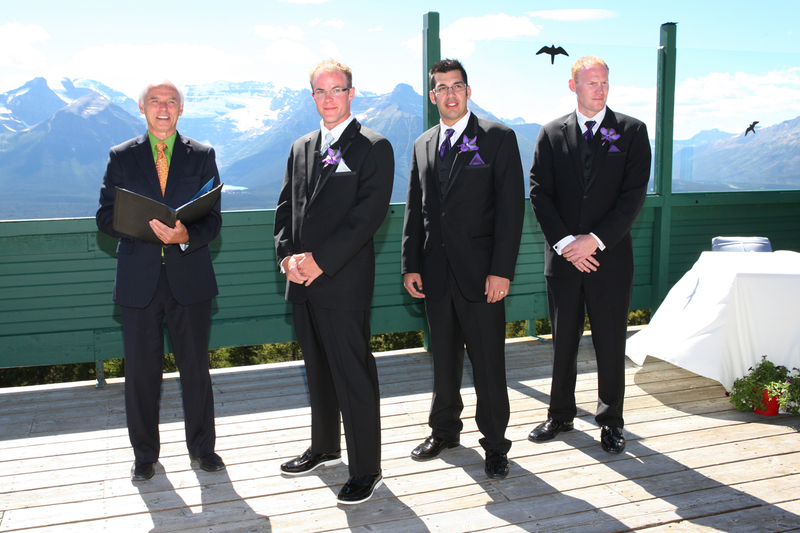 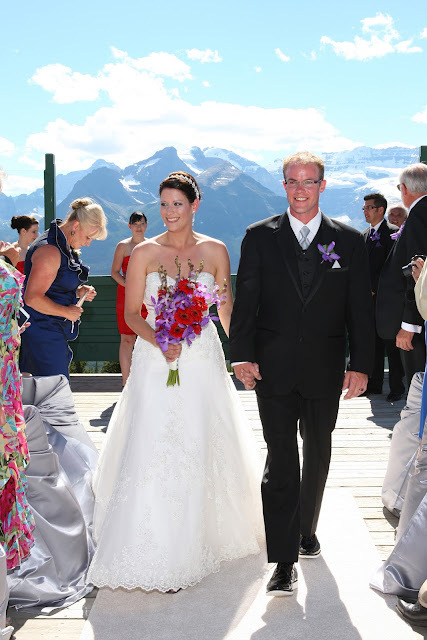 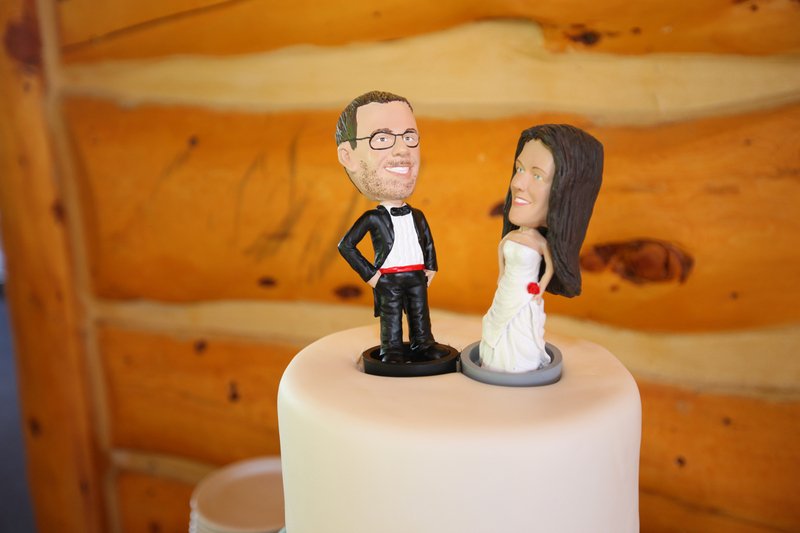 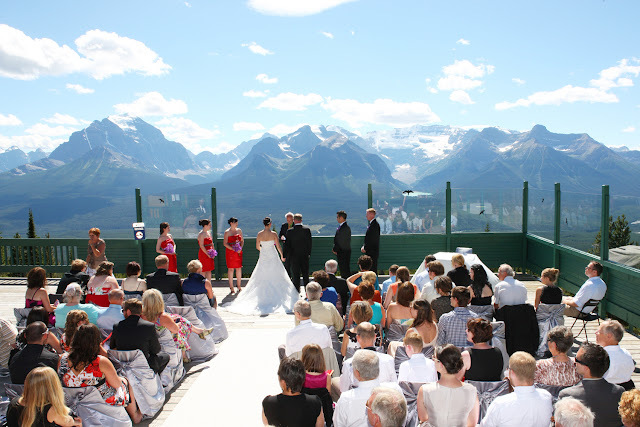 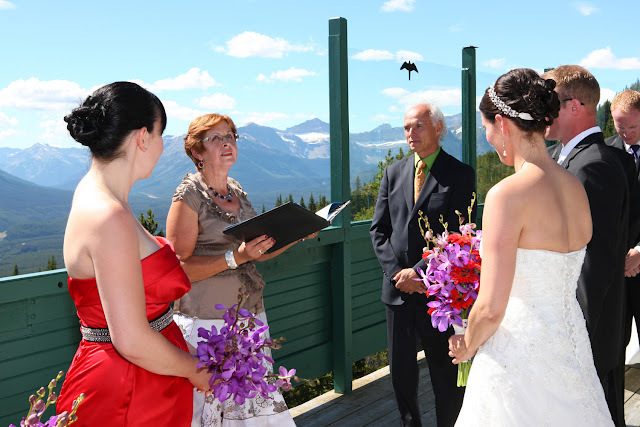 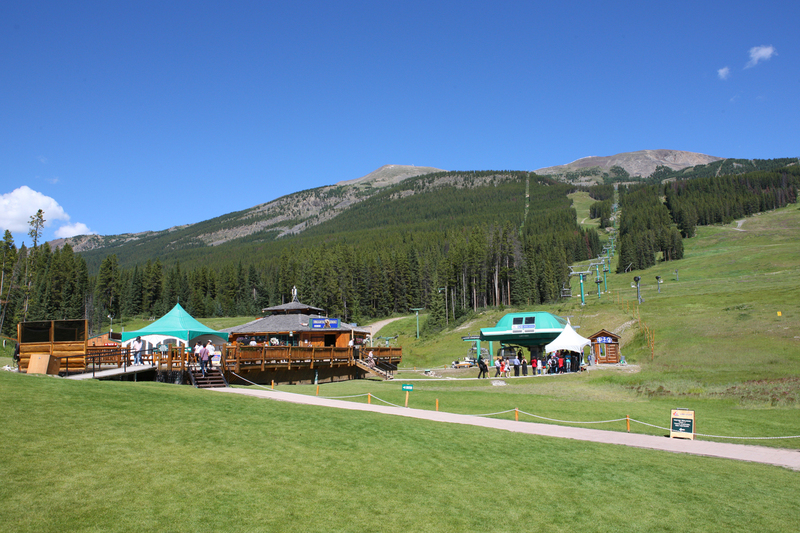 The ceremony took place on the deck of Whitehorn lodge at Lake Louise Ski Area. What a view the guests had! 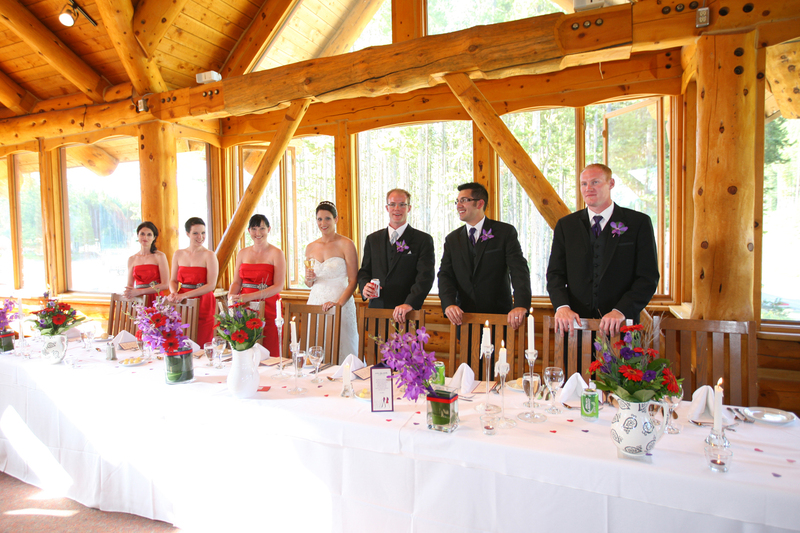 Malcolm had lots of fun with the wedding party. 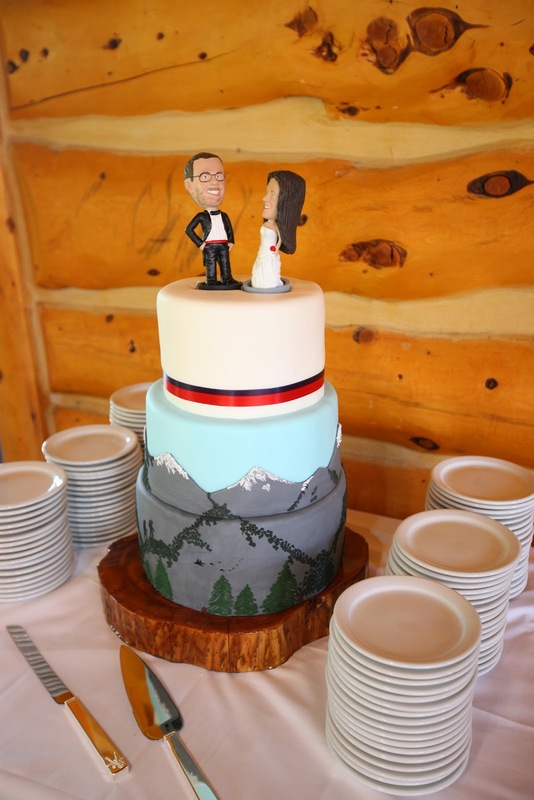 Panino's Bakery made an amazing cake! 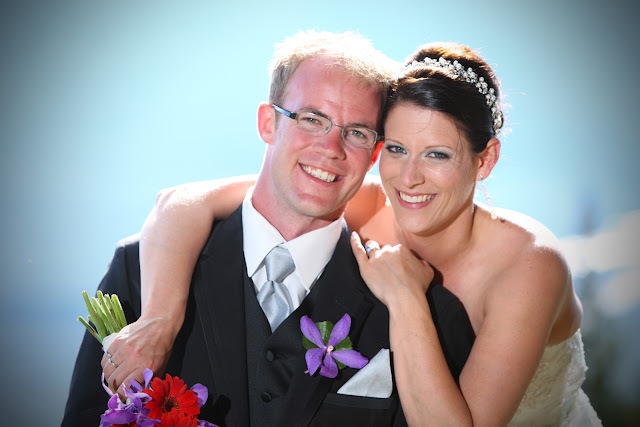 Congratulations to Erin & Steve! 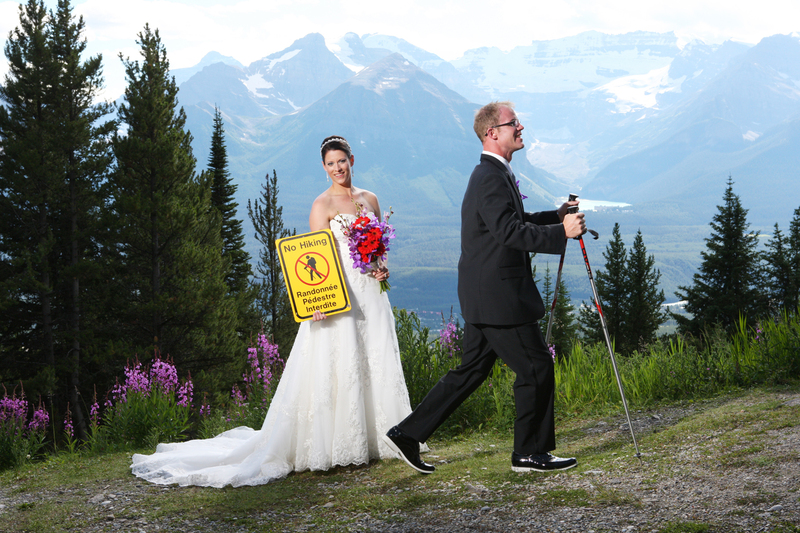 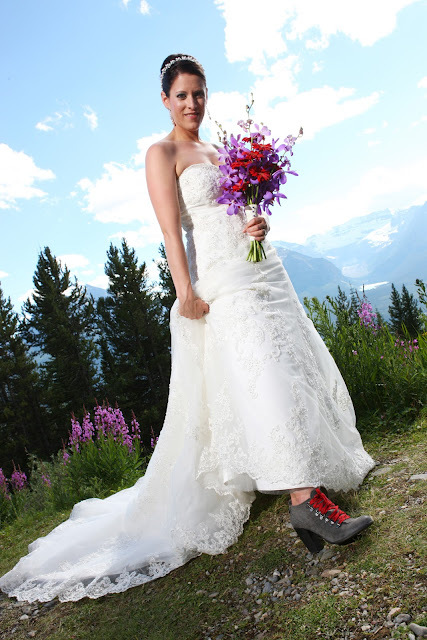 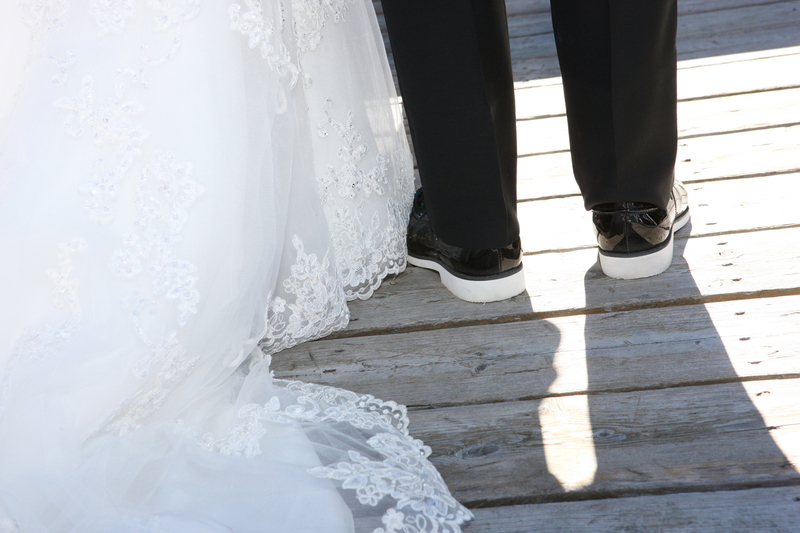 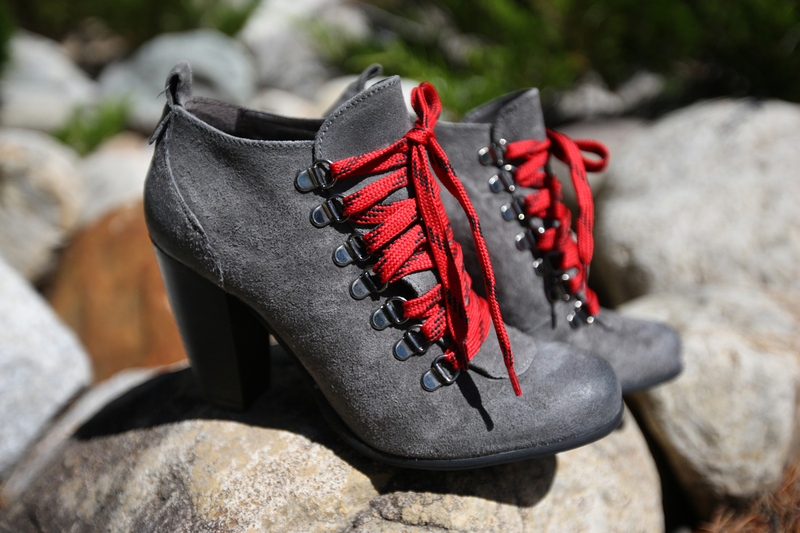 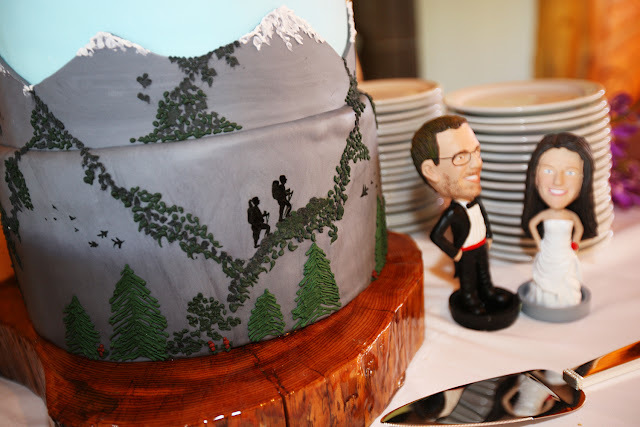 Wishing you a lifetime of Happiness together - keep on hiking.